Description: Just a stroll from Coffs Harbour's main surf beach, and a hop, skip and a jump from restaurants and cafes, this private, air conditioned, two bedroom unit epitomises beachside living. Located on the top floor and on the northern side of the block, the unit attracts the sun all day round and enjoys a view over the neighbourhood and towards the the hills. Inside, in-built cabinetry is perfect for your TV and the DVD collection and neutral, beachy tones throughout imbues a beach feel. A curved wall denotes the dining space, while the white kitchen has plenty of storage room. Across the hall, cupboard doors hide the laundry, and both bedrooms are a good size. Having been a holiday rental, the furniture and fit out (this includes all furniture, kitchenware and blankets) will be included in the sale and there's potential to continue with the holiday management (and use when you or friends want to visit). 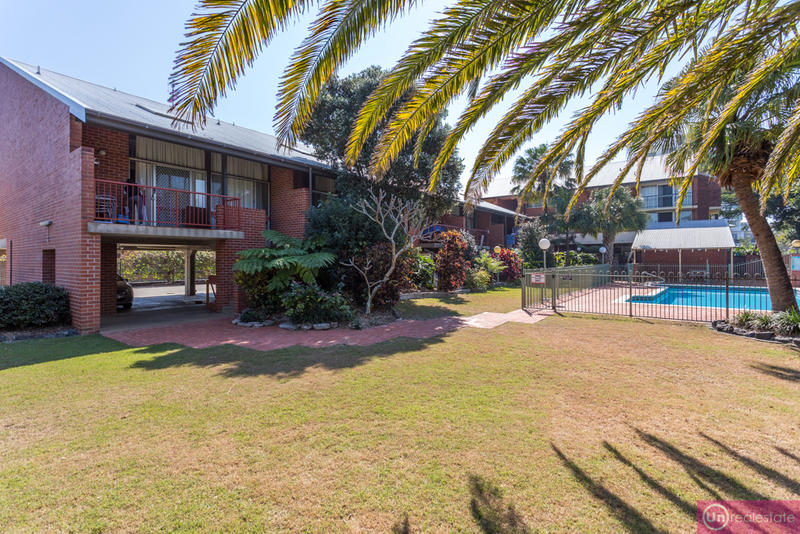 Also suitable to live in or as a permanent rental, the location is sure to appeal - enjoy the beach for swimming or surfing, leave the car in the carport and wander to a choice of restaurants and cafes and drive just a few minutes to the region's biggest shopping centre. East of the main thoroughfare, the unit is in the 'Sassafras' building, the complex pool and BBQ area is a huge bonus.